When I stumbled into self-employment, I accidentally created what is apparently a very coveted form of entrepreneurship: running a location-independent business. Nearly all of my time spent working could be done anywhere (with an internet connection). On a day-to-day basis, I don’t have to be anywhere in particular, and I spend my time writing, producing videos, talking to people over the phone/Skype, rehearsing my presentations, and interacting with people through social media. On a few days per month, I travel to speak at US universities, so obviously on those days it doesn’t matter from where I’m flying in. My business isn’t 100% location-independent because I do have to go to these speaking engagements from time to time – I probably couldn’t live in Thailand with this model – but it’s pretty darn close. 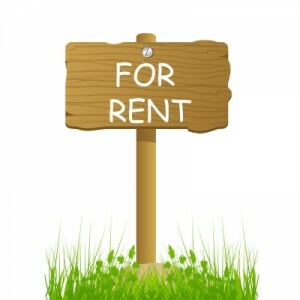 There are a number of well-known bloggers with location-independent businesses, such as Michelle from Making Sense of Cents and Paula from Afford Anything, who speak frequently about their ability to work while traveling/vacating. They make it sound very glamorous and attractive! But I don’t have that same lifestyle, whether or not my business would allow for it, and I like it that way. I like that I’m in my (new) city most of the time. I like that I can choose where I work (and most of the time I choose to work at home). And I like that I can take my work with me when I do travel. I wouldn’t adopt a fully location-independent lifestyle to constantly travel or live in a low cost-of-living city/country because Kyle is not location-independent. The nature of his work (software development and in silico experiments) would actually allow him to work from anywhere, but the culture of the start-up he works for requires him to be in the office during work hours. Maybe that will change for him with time, but we don’t expect or even necessarily want it to. So to be with my husband on a daily basis, I need to live where his job is, and that’s fine by both of us! Given that I want to be home for dinner every night that I’m not traveling, I could still work basically anywhere in the city that I would like. A coffee shop (no shortage of them here!) or co-working space is an option, and I have scoped out the library in my neighborhood as a potential workspace. 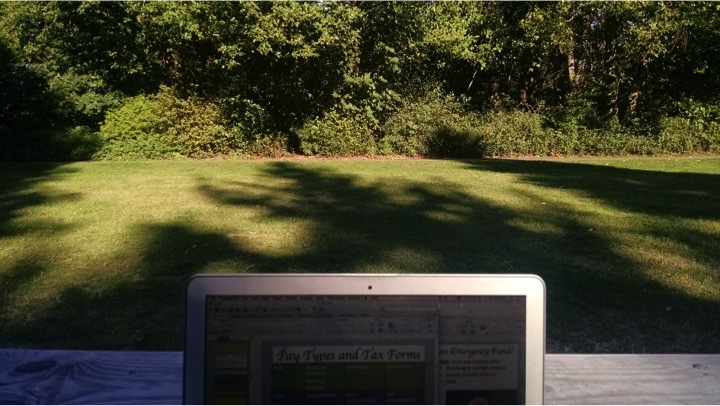 Recently, I spent an afternoon working from the park that is two blocks from our house, which was lovely. I recently took my laptop to a local park for a few hours to work on my presentations. But I’m honestly happy to spend basically all my work time in the living room and office of our apartment. I have privacy for my calls and video recording, stay in my pajamas for much of the day, have ready access to food, and can do the occasional load of laundry – and you can’t beat the commute! (I’ve been spouting off about how lucky Kyle is to have only a 3-minute walk to work, but really mine is better!) Now that we aren’t paying for air conditioning, it seems pretty frugal to be in the house all day (especially compared to having to buy a beverage or snack I don’t really want at a coffee shop). 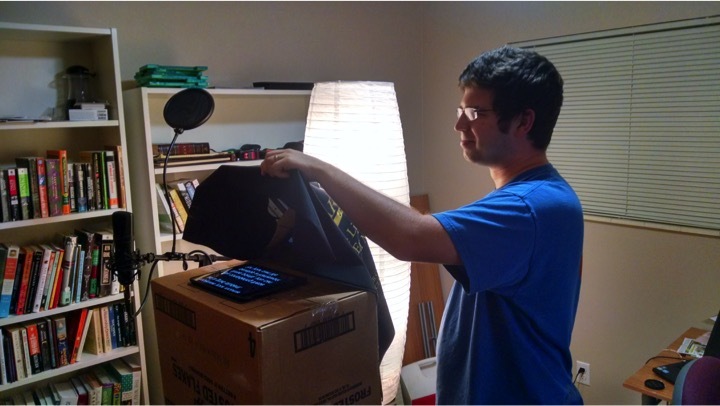 Kyle pulled together a makeshift teleprompter for me out of stuff we had around the house! Since I’m naturally a homebody, I’m really happy with this arrangement for now. I get out of the house most days of the week to see friends, exercise, run errands, etc., so I don’t feel too cooped up. The only thing I would really like to do more of outside of the apartment is to connect with other local entrepreneurs/solopreneurs. I have taken advantage of my location-independent business on a few occasions, to various degrees of success. It is definitely nice to not have to take full days off of work to travel, as I would have to with a typical job, or to be able to fit in a few hours of work when traveling for personal reasons. Traveling for my speaking engagements takes a lot of time (especially when I’m going to the east coast), but of course I am able to work when I am in transit, in hotel rooms, and on campus. I actually enjoy the break I have from the internet when I’m on a plane (I haven’t started springing for in-flight Wi-Fi yet!) because many of my typical distractions are naturally limited and I can focus on writing. 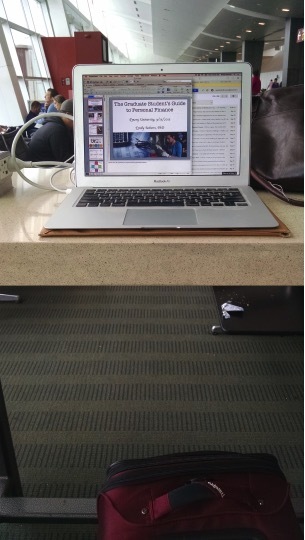 My ‘standing desk’ for an hour at Sea-Tac airport – the charging bar at my gate. While I haven’t yet demonstrated that I can work while traveling for personal reasons (working on our cross-country trip/move was not very successful), I have hope that I will be able to at least keep up some minimal work during those occasions. My next opportunity should be when we travel over Thanksgiving to see family, and I might extend my trip to keep my flight prices down, taking the extra few days as normal workdays in a new location. I’ve even been joking with Kyle that I’m going to escape the dreary Seattle weather we expect to arrive soon by “wintering” with his parents in southern California. All in all I’m very happy that I have a location-independent business, even if I choose to exercise its independence by working out of my living room the vast majority of the time! Is your work location-independent, and if so how do you take advantage of it? If you had location-independent work, where would you do your work? 11 Responses to "Running a Location-Independent Business from the Same Room Every Day"
I currently am sort of location independent, because my research is all simulation and theory based at the moment. I do plan on running some experiments in the near future though. I actually prefer working at home for the moment. I’m currently creating a presentation in LaTeX with the beamer package. And LaTeX always takes up more screen space than Word or PowerPoint. And believe it or not, I’m actually using all four of my monitors! (source code, pdf output, source code of paper the presentation is based on, pdf output, web browser, a couple terminal windows, Matlab). Beats going into the lab where I have only two! I didn’t really like working at home when I was in grad school, even if I didn’t have to be in the lab for a whole day. I liked the workspaces available on campus, and I could focus better there with the accountability of having other people around. Now that it’s day in and day out, though, I prefer to be at home. Could you actually move away from your grad school city if you wanted to? I know that’s pretty common for students in humanities fields, but it doesn’t seem to be for computational people. I assume you still need to come to campus from time to time to meet with your advisor. The accountability is certainly a factor! But it also takes me ~30-35 minutes one way to bike to/from the lab, so long as I’m not goofing off too much, I should come out ahead in terms of productivity. Nah, I couldn’t move out of Atlanta. I’m about to start experiments soon with actual equipment that I do not have at home. Yeah that commute is a real timesink but at least you’re getting exercise out of it as well! Yup. And I’ve got to say, the mental health benefits are fantastic. Great way to unwind. You are so fortunate Emily because you can work wherever you are and whenever you want. Do you still miss working in an office? I liked having co-workers (aka friends) around, but I don’t really miss having them, either. I think I’m happy either way.